I’m evaluating now the Security.DC and I appreciate the very nice solution for data and actions permission dinamically. But my question is… If I use Arms the navigation permission doesn’t work, do you intend to put this permission for arms soon? Please, give us additional information about your Xafari version and web/win application. in this sample project, is it possible to hide/show the Dashboard using permissions? We will research the attached sample and let you know our results. >> I’m evaluating now the Security.DC and I appreciate the very nice solution for data and actions permission dinamically. set Administrator(or other) role for your user. See attached file Videos -> SetRole.avi. >> in this sample project, is it possible to hide/show the Dashboard using permissions? Standard navigation have used the permissions, but the permission haven’t worked with AMS. ‘How to use security for ARMs’: you can see in attached file Videos -> AddRole.avi. Thank you for your nice support! Retracing my question, do you intend to extend this permission for specific View and TemplateLink on Arms? I ask this because I am developing an application that uses dashboards and views of non persistent class which need permission rules. unfortunately the permissions don't apply for any views and dashboards. 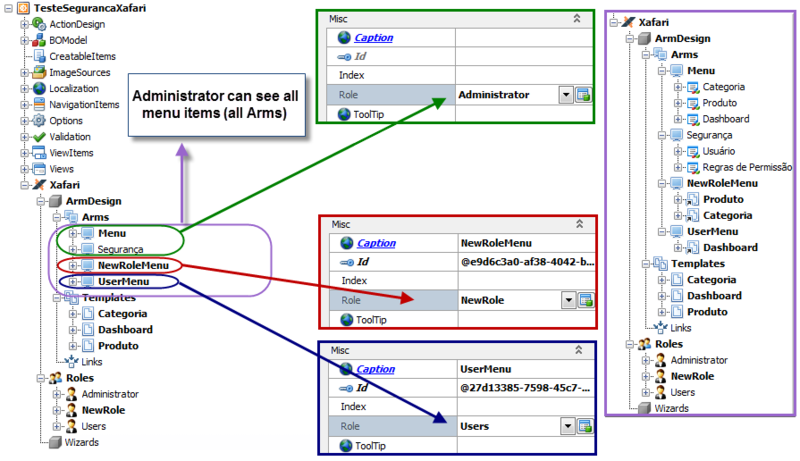 And the ability(permissions) will not extend for specific View and Template Link on Arms in the near future. - or create and configure Work Place.